Besides Welcome, there are some really important Safety Tips in the Maintenance Section you should IMMEDIATELY GO TO upon buying your pre-loved van... Have I got your attention?? Good, because there are important Maintenance Tips in this Category and in the OWNERS SECTION, you need to check out, on the brakes, emergency brakes, wheel bearings, hitch, and things like this, that may not be readily apparent to you.. OK? 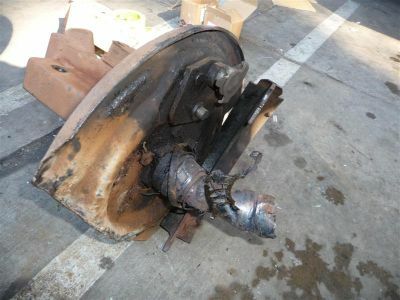 In this Category, many Topics are here to cover things you need to look at like the Suspension, and hitch, and pivot blocks, and I am adding to this the importance of wheel bearings as some of you are going a long way to pick up your secondhand Bushtracker. The next post in this thread shows you the consequences of not checking things out. I am trying to take care of you, really. That is my goal, and some of the things are serious safety issues on the road, so as soon as you get your van, you should Register and then go over some of these issues so you don't get caught out past Woop Woop with something broken..
Kind Regards, and a big WELCOME to you in advance.. 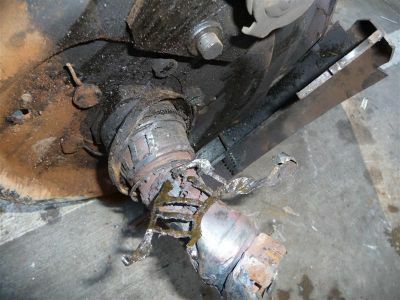 When you first pick up a van, in addition to all the obvious, springs, emergency brakes, the hitch, brakes themselves, you need to be aware of the things you cannot see and wheel bearings would also be near the top of the list. 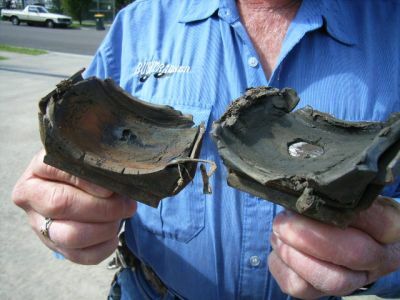 What if someone has overtightened the wheel bears and have caused too much heat? 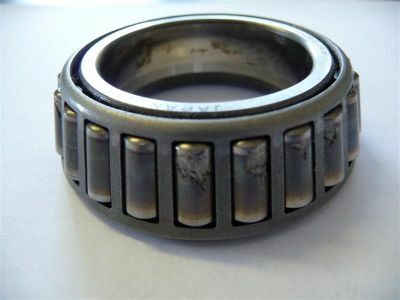 What if someone has too little grease in the wheel bearings? Now what is the point of this? Pay attention to the items above in the Topic about Service, not necessarily even from us as I am still too far Booked ahead and this is not here as a plug to make you get Service from us.. I am here to tell you that the unknown van you are picking up is UNKNOWN in condition TO YOU. I would do a tear down and inspection before going any great distance, OK? Brakes, shoes, and wheel bearings. There is a list of what you should look at yourself, or have a Professional look at, in this Category in the Topic: PRE-PURCHASE INSPECTIONS/ REPORT AND EXTENDING WARRANTY? Yes, inspect the hitch and spring packs and poly block pivot points, but sometimes what cannot see could be the most important. It could save you, doing this Service before going 1000 or 2000 kms home... OK with this? If it is near by, at least go talk to the Business that did the last Service to be comfortable that they are competent enough to put your life and property on the line with. If you buy one that needs them replaced, it can also mean erroding the seat on the chassis that the pivot block sits into..
Also, there is a whole new style of Pivot Block that is coming on line. You do not want to go pick up a van and come to grief or cause unnecessary damage you could have avoided... Better to learn before causing the damage, it is much cheaper and easier. Kind regards, Steven Gibbs, Admin. Posted: Fri Mar 13, 2015 11:27 am Post subject: Is it still worthwhile to buy second hand? If it was within my budget (and timing) I would learn as much as possible first and go new. You then get what you want. I understand that's not for everyone but it is the way we went. Plenty of info here and the coaching along the way is excellent. There is only a couple of things I would change if we were to have another built but nothing that can't be retrofitted. Either way, enjoy the ride. PS. I notice you are in Geelong. We are currently in Freshwater Creek, so if you want to come and have a look at our van and have a chinwag you are more than welcome. Another good point, get into as many vans as possible. We asked to look at dozens before deciding to build. Another perspective. We are on our 2nd used van and very happy with both. Only upgraded in size as we live full time in our van. Big savings on new and with the plethora on the market you will have no trouble getting what you want. You can then get it checked and serviced by BT and if it needs work you are still well below new price. Decide what size you want (or more importantly what size you can tow with your vehicle) and start looking now. Avoid anything that has obviously had a hard life. Costs nothing to look and as you have already been advised, check out as many vans as you can and talk to the owners about the issues they have had and repairs/maintenance required. Along with this site, this will alert you what to look for and make the whole ownership journey a lot easier and more pleasant. If they say they have never had to repair or replace anything, walk away as they are not the people you need to talk to. Only the owners of other makes of caravan never have to do anything on their vans! Or that is what they would have you think. Hi John and Di, We live in Rutherglen with our 4 month old 21ft Bushtracker. So if you have the time to divert 19ks west off the Hume at Springhurst on your way north, you are most welcome to come and have a look. John and Di, you can email me by using the email tab at the bottom of the post and we can arrange a catch up time that will suit us both. REGISTER AS AN OWNER AS SOON AS YOU BUY ONE, I MEAN EVEN BEFORE YOU TAKE IT HOME TO CHECK ON THINGS.!!!! This is my first post on the BT forum, so forgive me if its in the wrong place. As a prospective buyer/owner of the BT van, ive spent and will continue spending time researching pros and cons. Ive read a post about insurance work being reccomended as been sent back to Qld, to the factory for the correct repairs. This all sounds great..
My question is, to all WA owners and of course a recomendation from Steve and the team, are there and recomended service agents in and around Perth? Also, is there any reason why Bushtracker do not display at either caravan or 4wd shows here in Perth? First of all on Service, simple things you talk to locals or on the Forum and get recommendations... Serious jobs or Insurance work and we can get involved for Quality Assurance reasons, and they may need parts..
Now, why are we not in Perth? Because "In My Opinion" IMO your Government is doing the wrong thing by the People, and they make it too hard to display for anyone out of the State. We would need to fly over all Sales Staff going to the Show for Perth classes and Licensing, also the Directors of the Company, they just make it too hard to try and protect your local Caravan Builders in W.A. Unfortunately, there are no Builders in W.A. that build to our level of quality. They also demand we have a Dealership over there. Really, they are protectionist, and think they are supporting their small local builders, when in reality they are hurting their own Public again (IMO.).. One more thing: WELCOME TO THE FORUM! Post Number One.. !! Hi there, firstly, thanks for the detailed reply. Ill look forward to other WA owners posting about their experiences on here. Thanks once again. He is a mobile service and will carry out the service at your place. Always a good experience dealing with him. I’ve only had bad experiences trying to get these done in Perth.. It is always good to stay current, but we cannot do quality assurance as the Companies are too far away to maintain quality control, Ownership, Staff, good ones sometimes go bad.. It is always better to get current recommendations WHEN YOU need it, so it is CURRENT... OK?